Last Friday my brother and I, along with close friends, visited Marquette University to see the Tolkien Collection archived in the university library. 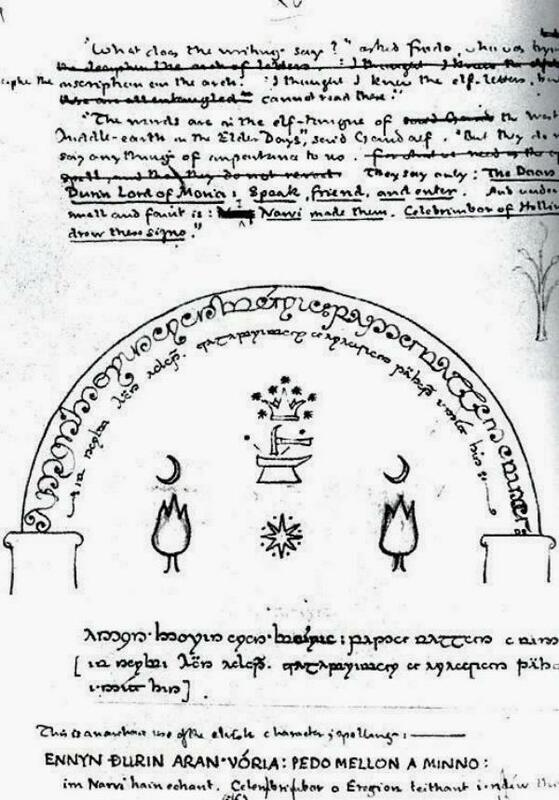 Marquette purchased thousands of items for the collection from Tolkien himself in 1956 for less than $5,000. 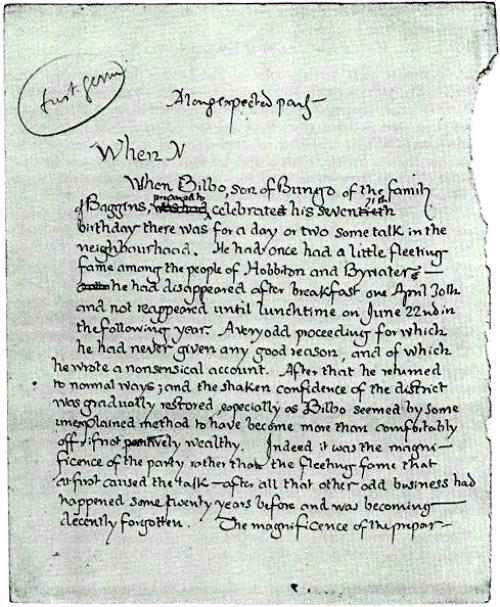 The collection includes "the original manuscripts and multiple working drafts for three of the author's most celebrated books, The Hobbit (1937), Farmer Giles of Ham (1949), and The Lord of the Rings (1954-1955)...," among other things. If you like Tolkien, you would probably enjoy a visit — we attended a public showing for which reservations are required. Although the University owns the manuscripts, they do not hold the copyrights and consequently photographing the items is forbidden without permission from The Estate of J.R.R. Tolkien. Nobody in our tour had such permission. These illustrations are from a site that may have. The posts at that site describe very much the same experience we also enjoyed at Marquette. ...materials by and about seven British authors: Owen Barfield, G.K. Chesterton, C.S. Lewis, George MacDonald, Dorothy L. Sayers, J.R.R. 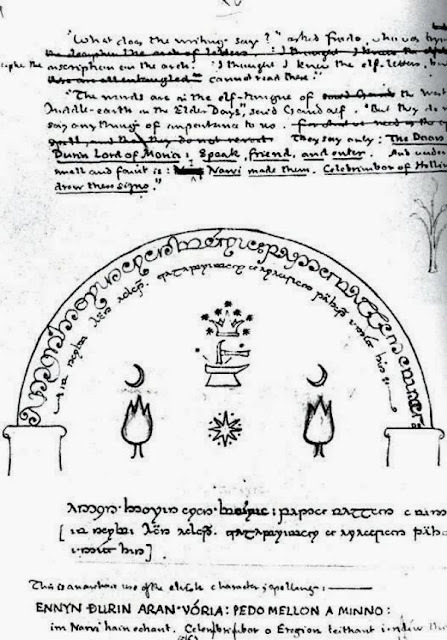 Tolkien, and Charles Williams.